It's been a few weeks since we did our last High 5, and having spent some time with Arrow Video's superlative dual format box set release of Videodrome, which included an entire disc of director David Cronenberg's early films, I thought it might be nice to touch on five more Cronenberg films that rarely get discussed and that few I have spoken to seem to have seen. Two are features, the other three are shorts, and all are absolutely worth a look if you can track them down. You can read our full review here, and the film itself has been uploaded in medium res onto YouTube here, albeit with burned-in Italian subtitles. How appropriate. In the same ball park but a little less quirky is Cronenberg's 1979 follow-on film from horror favourite Rabid, a guys, girls and cars exploitation movie set in the world of professional drag racing. In terms of its tone and content this is definitely one film that you wouldn't realise had been directed by Cronenberg were his name not up there on the credits and the poster, but remains a film for which he has some affection. An enthusiast for fast cars and some time racer himself, Cronenberg clearly relished working with the high-powered machinery on display here ("It was a labour of love," he said of the film, "it wasn't a hack job. "*), and the result is, for the most part, good B-movie fun. 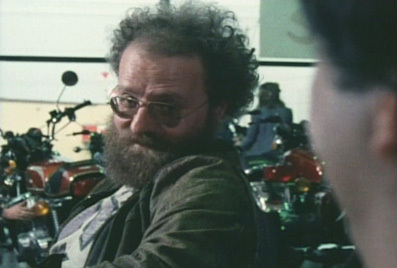 It also proved a pivotal work for the director, being the first of his films that he didn't also write, and it brought him together for the first time with cinematographer Mark Irwin, art director Carol Spier, sound editor Bryan Day, and film editor Ronald Sanders, all of whom would become Cronenberg regulars. 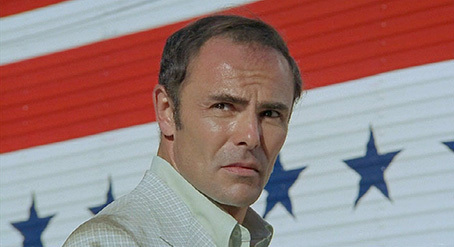 The cast includes Frank Moore, who has also featured in Rabid and The Italian Machine, Nicholas Campbell, who worked again with the director in The Brood, The Dead Zone and Naked Lunch, and B-movie favourite John Saxon. It's available on US Blu-ray only from Blue Underground, which may well mean it's region encoded. 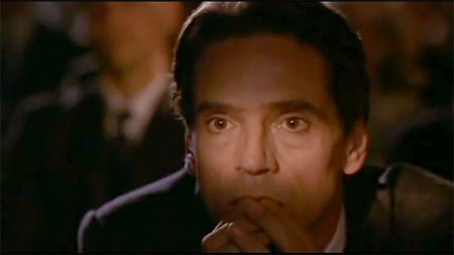 Jeremy Irons plays René Gallimard, a French diplomat based in Beijing during the early 1960s who becomes entranced by Chinese opera singer named Song Liling, an attraction first formed during a performance of Puccini's Madame Butterfly. The two become acquainted and Gallimard quickly falls for this captivating woman, unaware that she has been asked to spy on him for the Chinese government and that she has an altogether more startling secret. Based on a true story and adapted by David Henry Hwang from his own Tony award-winning play, M Butterfly was made two years after Cronenberg successfully went on a limb with Naked Lunch but somehow slipped off the radar shortly afterwards. That the central deception is a easy to spot is not as big an issue as some have claimed, and this is still a captivatingly told and intermittently unsettling tale of obsession, love and loss. It's also one of cinematographer Peter Suschitzky's most visually arresting films for the director. The film only appears to be available of DVD at the moment, and visually would really benefit from a decent Blu-ray transfer. 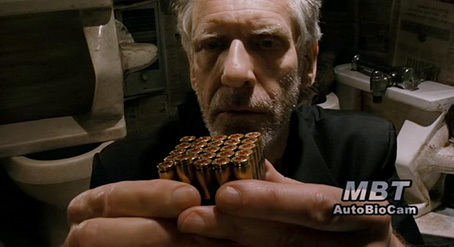 As the last Jew on earth (played by Cronenberg himself) loads a gun and prepares to commit suicide in the bathroom of the world's only surviving cinema, which itself is facing demolition that evening, a pair of news broadcast hosts comment on what we are watching, which is being broadcast live through a camera they have supplied to the man at his own request. At just under 4 minutes in length, this is the shortest film on this list and consists of just a single, uninterrupted shot, the soundtrack occupied by the voices of the bubbly North American newscasters. This marks the first time that the atheistic Cronenberg has chosen to explore his Jewish identity, and was made as a response to a proclamation by Hezbollah that their goal was to kill every Jew in the world. The film also touches on his concerns over the changing nature of the film viewing experience, with the unseen and believably facile news hosts suggesting that the very concept of cinemas belongs in the past and that it's probably a good thing that they've all disappeared. It's a structurally simple but carefully scripted and quietly mesmerising piece that was part of the To Each His Own Cinema anthology film. It can be currently viewed in isolation on Daily Motion here. A surgeon named Dr. Molnar (played by Cronenberg) attempts to psychologically prepare a woman named Celestine (Evelyne Brochu) for an upcoming mastectomy, an operation she has requested because she believes her left breast has become home to a horde of breeding insects. Just 9 minutes in length and captured in a single shot with what looks like a GoPro camera strapped to Cronenberg's head – something Celestine remarks on at the start of the film – this is another simply structured but genuinely unsettling short, not for what it shows us but for what it suggests and the discomforting nature of Celestine's condition and situation. This is psychologically driven body horror that becomes more disturbing as the film progresses, amplified by Evelyne Brochu's perfectly pitched performance, her awkward partial nakedness and the fact that the surgical bed on which she sits is located in not in a pristine hospital ward but a grubby-looking garage (actually Cronenberg's own). This choice of location may seem like the result of bang-the-idea-out-quickly expedience on Cronenberg's part, but actually throws up the troubling notion that Dr. Molnar is not a surgeon at all and that he is taking advantage of Celestine's mental instability to do who knows what to her, something seemingly confirmed by the claimed results of his final examination. You can watch an HD upload of the film here.